With every single project you entrust to us, we guarantee that you get total satisfaction with the outcome. We will gladly pay you for every loss of time caused by the delay of our work. We will also give you refunds if the quality of our work is less than what we have promised. 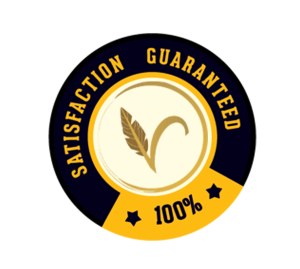 We are one among a few creative communication agency out there that offer you satisfaction guarantee and refunds. Vihayana Creative Communication does this, because YOU are the special one in all of our services. The refunds will be given if our work(s) is proven to be inaccurate in either translation or writing aspect that it results in data or meaning diversion. Should this case happen, and is supported by sufficient amount of evidences, not only will we refund you but also we will resolve the found issue(s). Our money back policy is not applicable to typographical errors or typo. We will resolve the typographical errors without any additional charge as the proof that we commit to give you the best service we have. 2. The issue(s) mentioned in point 1 will only be treated as one if reported within the first week after you receive our work. Any complaints reported after mentioned period of time will be charged for.